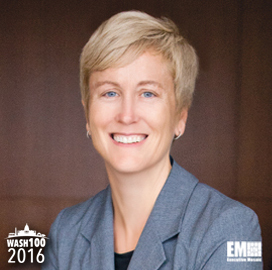 Executive Mosaic is pleased to introduce Mary Ann Hopkins, president of the federal government business unit Parsons, as an inductee into the Wash100 — Executive Mosaic’s annual selection of influential leaders in the government contracting industry. The Pasadena, Calif.-based engineering and construction services contractor announced a reorganization in January where the company will operate five business units and Hopkins will lead the Parsons Federal line that works with agencies in the defense, security, environmental and infrastructure sectors. Hopkins previously led the former government services group as president since 2012 and was responsible for the business’ worldwide operations. 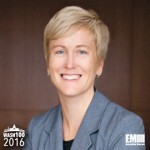 Prior to that, she led Parsons’ work to explore business opportunities and crafted strategies for all federal government-associated operations in her role global business development manager and executive vice president for the government services group. The two-decade industry veteran also helped the engineering company secure federal contracts during her tenure as senior VP and business development manager for the group’s installations and environment division. Parsons credits Hopkins for her work to engineer its $350 million acquisition of systems engineering services contractor SPARTA from Britain-based company Cobham in 2011. Executive Mosaic congratulates Mary Ann Hopkins and the Parsons team for their selection to receive this award.